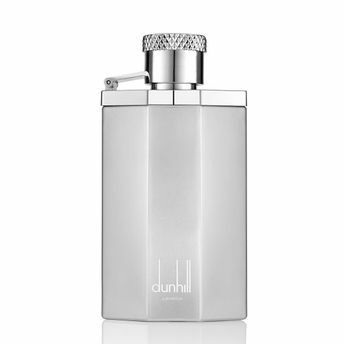 Dunhill Desire Silver is inspired by the sophistication, confidence and presence of the Dunhill Gentleman. Starting with the uplifting and refreshing top notes of the liquid oxygen accord, an invigorating breath of air is unleashed laying the path for a generous dose of crisp bergamot and zesty volcanic mandarin. The heart gives way to a contrast between the intensely green cardamom LMR and violet leaf with the lush watery accord giving the scent a sleek woody base. Desire Silver marks Carlos Benaim's return to the foray of signature Dunhill scents. Following the tremendous success of Dunhill ICON, Benaim's vision for Desire Silver was to ""look at masculine sensuality in a new way, translating it through a contemporary fresh facet, something that has certainly been achieved through this masterful new fragrance. Explore the entire range of Perfumes (EDT & EDP) available on Nykaa. Shop more Dunhill products here.You can browse through the complete world of Dunhill Perfumes (EDT & EDP) .